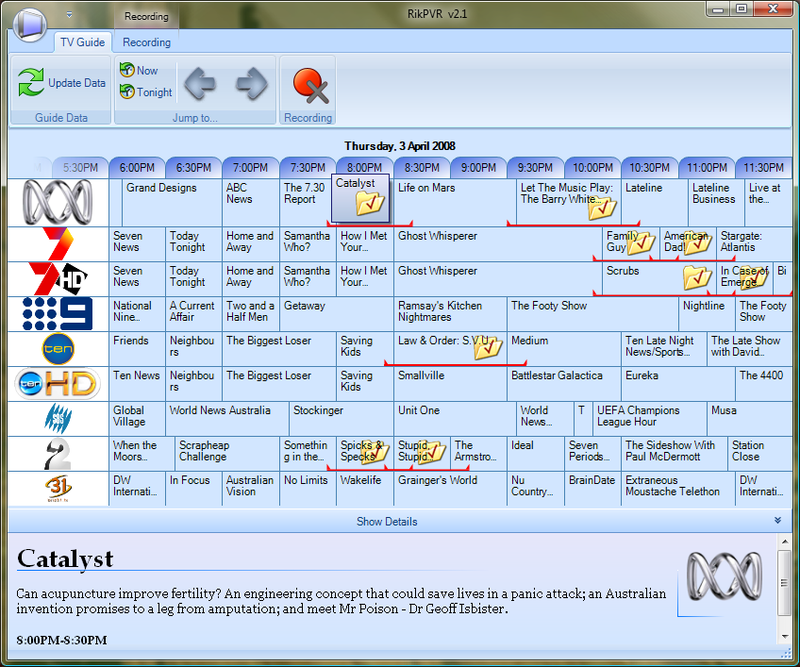 akes recording TV as simple as pointing at a TV guide. RikPVR turns your PC into a Personal Video Recorder without taking it over. You continue to use your PC exactly as would normally while RikPVR handles all the recordings in the background. RikPVR works with most DVB Terrestrial capture cards allowing you to capture free-to-air digital TV from any country using the DVB-T standard including Australia, the United Kingdom and Europe. A beta version of RikPVR is also available. RikPVR betas contain new features, but are still under development and may not be as stable as full releases. Beta versions have the same free 30-day trial license. 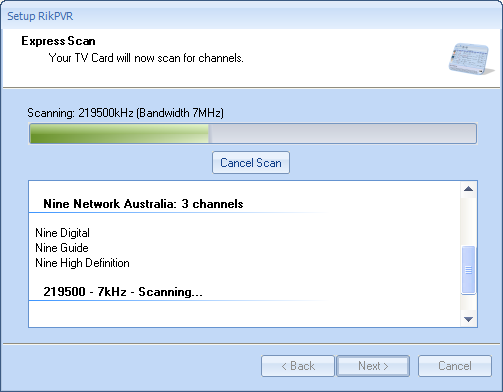 The current beta release contains a new scanning module which improves channel scanning on most cards. If you have trouble with scanning on the released version try the beta version.